The Felician Sisters of North America is a community of consecrated women religious, inspired by the spiritual ideals of their Foundress Blessed Mary Angela Truszkowska and that of St. Francis of Assisi. Consecrated to God through the vows of chastity, poverty, and obedience, the Felician Sisters live in community, dedicating their lives to God and the Church—always striving to live and share the Gospel message through lives of prayer and service as they cooperate with Christ in the spiritual renewal of the world. Our Lady of Hope Province is governed by a Provincial Minister, a Provincial Vicar, and 6 Provincial Councilors. 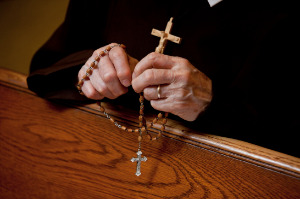 The current Provincial Council was elected to serve a six-year term ending in 2021: Sister Constance Marie Tomyl, Provincial Councilor; Sister Mary Jolene Jasinski, Provincial Vicar; Sister Michelle Marie Stachowiak, Provincial Councilor; Sister Mary Rosita Brennan, Provincial Councilor; Sister Mary Christopher Moore, Provincial Minister; Sister Janet Marie Adamczyk, Provincial Councilor; Sister Mary Geralyn Mroczkowski, Provincial Councilor; and Sister Suzanne Marie Kush, Provincial Councilor. The Provincial House in Beaver Falls, PA, serves as the administrative hub of Our Lady of Hope Province. The offices of the Provincial Council members are located at the Provincial House, as are many of the administrative offices for the Province. Our Sisters live and serve across the U.S., in Canada, and in Haiti. 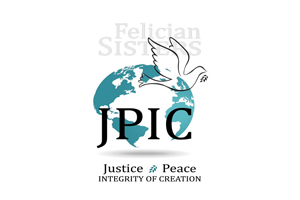 The Felician Sisters were founded in 1855 in Poland by Blessed Mary Angela Truszkowska. In 1874, five Felician Sisters brought the Felician mission to Polonia, Wisconsin, where they educated the children of Polish immigrants. By the early 20th century, Felician Sisters were a significant presence across much of the United States, and by the mid-20th century, they had established a presence in Canada as well. Since 2012, they have been a presence in Haiti as well. 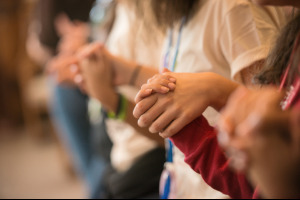 The Felician Sisters of North America formed Our Lady of Hope Province in 2009 by uniting 8 Felician provinces from across the U.S. and Canada in order to help sustain and expand our mission.